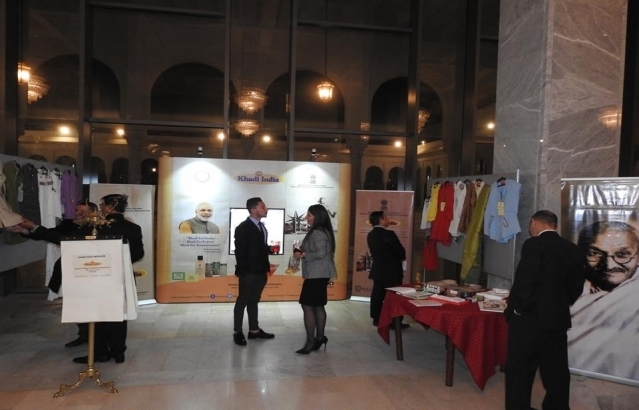 To commemorate the 150th Birth Anniversary of Gandhiji, Embassy of India, Algiers organised a special display of Khadi apparels and related products for promoting Khadi and Village Industries (KVIC) products, during Reception held on the occasion of 70th Republic Day on 27 January 2019 at Palai du Culture, Algiers. 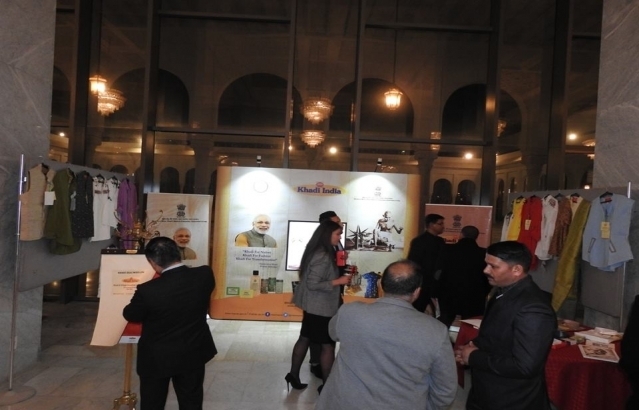 The display stall was attended in large numbers by invitees for the Reception who appreciated the display. 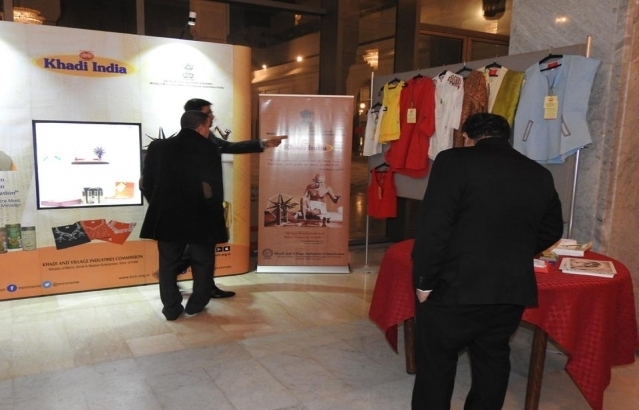 The flyers and pamphlets on Khadi were also distributed to them."